IRISH poet and author Anne-Marie Fyfe is heading back to Swansea this weekend to share the insights of a career in creative writing at the city’s Dylan Thomas Centre as part of Swansea Council’s literature programme. Anne-Marie, who has written extensively in prose and poetry about her coastal journeys on both sides of the Atlantic, will be leading a creative-writing workshop at the Centre on Saturday morning. And in the afternoon she’ll be reading extracts from her Voyage Out project, a performance of poetry, prose, music and memoir inspired by journeys on coastal journeys around Britain, Canada and the United States. She said: “It’s lovely to be getting back to Swansea and the Dylan Thomas Centre, having taken in so many familiar new coastal/maritime locations on my ‘Voyage Out’ project. “I’ve discovered so much new about coasts from Orkney to Martha’s Vineyard, Felixstowe to Cork to Cape Breton Island and Nova Scotia. Robert Francis-Davies, Cabinet Member for Innovation, Regeneration and Tourism, said Anne-Marie’s visit will be popular with local poets and writers. 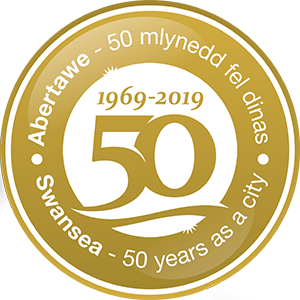 He said: “We have a rich heritage in Swansea of producing great writers who can translate the glories of our legendary landscape into equally-inspiring words.